With the cycling spring classics upon us I was inspired to create a series of cycling posters to illustrate them. 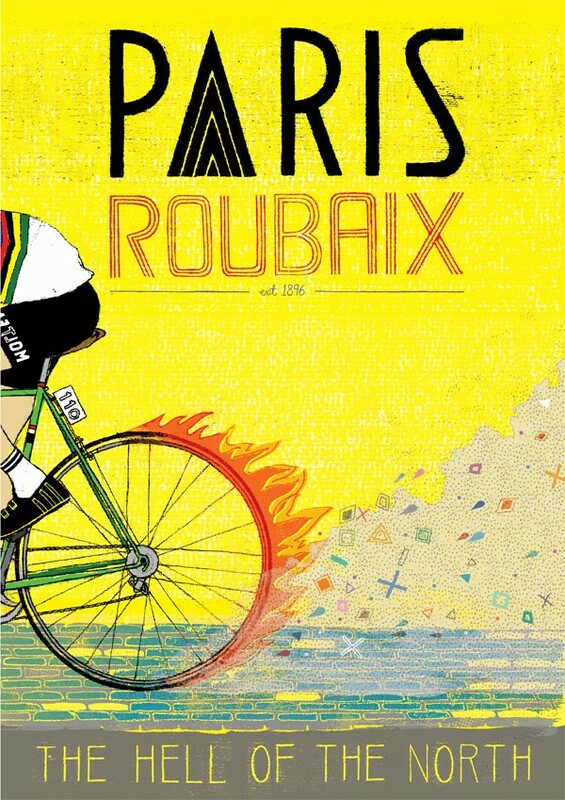 The first I have produced is for the Paris-Roubaix, or ‘the hell of the north’ as it is also known, 257.5km of pure joy for everyone except the riders. Enjoy!